Sure, robots tossing old people down an elevator shaft sounds extreme, but Steven Spielberg claims it's a relevant vision of the future. It's been a little while since film director Steven Spielberg made a straight-up science fiction movie (the last time he did was with 2005's War of the Worlds). Come 2013, though, he's returning to the genre that he's done exceptionally well with over the years with an adaptation of the novel Robopocalypse. Now, the director's explained what the film will contain, and it sounds like it'll have a lot going for it. "It's a movie about a global war between man and machine. I had a great time creating the future on Minority Report, and it's a future that is coming true faster than any of us thought it would. 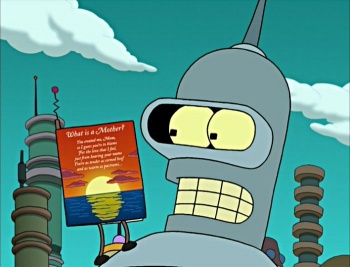 Robopocalypse takes place in 15 or 20 years, so it'll be another future we can relate to. It's about the consequences of creating technologies which make our lives easier, and what happens when that technology becomes smarter than we are. It's not the newest theme, it's been done throughout science fiction, but it's a theme that becomes more relevant every year. At the moment, the movie is still very much in the pre-production phase. At the moment, there haven't been any cast announcements (despite IMDB's listing of virtually unknown actor Nick Santino). Robopocalypse is set to hit theaters on July 3, 2013.